Spring Caravan is just around the corner - It's time for another round of workshops and a dizzying array of performances! We're in for another fun-filled week in Somerset, NJ, this May with master teachers covering a myriad of different styles and techniques. The main festival opens Friday night with live music and performances beginning at 7 PM. 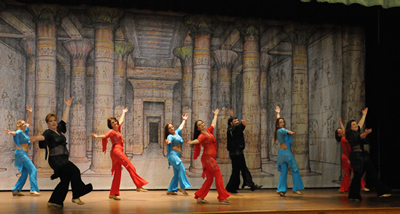 Desert Moon Dancers will be performing on Friday, May 27, at 9:16 PM. What will we be performing? Come be surprised! Farasha and Su'ad Dance and Designs will be vending. Need that last minute "bling" or even a new costume? Check out their beautiful costumes, belts, veils, jewelry, and who knows what else!